Media is no longer device-specific; rather it is device-agnostic. Over the years, the phone has become smart, the computer has morphed into a tablet and the internet has gone mobile. So now, you can listen to the radio, make a call, receive and send e-mails, watch a film or indeed work on your presentation - all with the smartphone. Television has become internet-enabled, and computers have started featuring high definition screens such that you can access your media files on television or the computer. With cheap mobile tariff plans giving way to affordable high speed mobile internet plans, net connectivity reigns supreme, at least for the foreseeable future. Feeding this frenzy for high-speed net connectivity at homes and offices is Hathway, one of India’s pioneers in high speed internet access. 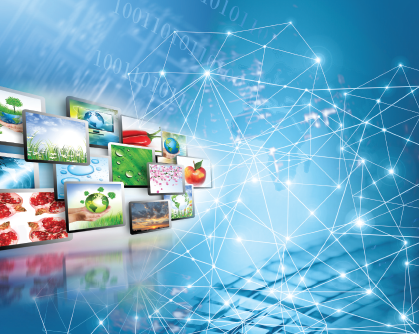 Our twin roles as purveyors of media content and providers of high speed internet connectivity place us in a unique position to benefit from increased demand for media and increased speed of access across different devices. Our high speed broadband offering, on DOCSIS 3.0 standards, is transforming the world of ISPs in the country, promising an improved customer experience with exceptional connectivity speed. We have already upgraded ~20% of our subscriber base to the high speed DOCSIS 3.0 technology, which is driving better subscriber retention and lifting ARPU through new tariff plans to broadbase our services and accelerated expansion focus (as manifest in our month-on-month growth). As we continue to upgrade our existing base of 2.3 million broadband enabled homes to the new, 50 MBPS high speed technology, we see this shift translating into reduction in operating costs and increase in revenues, going forward.